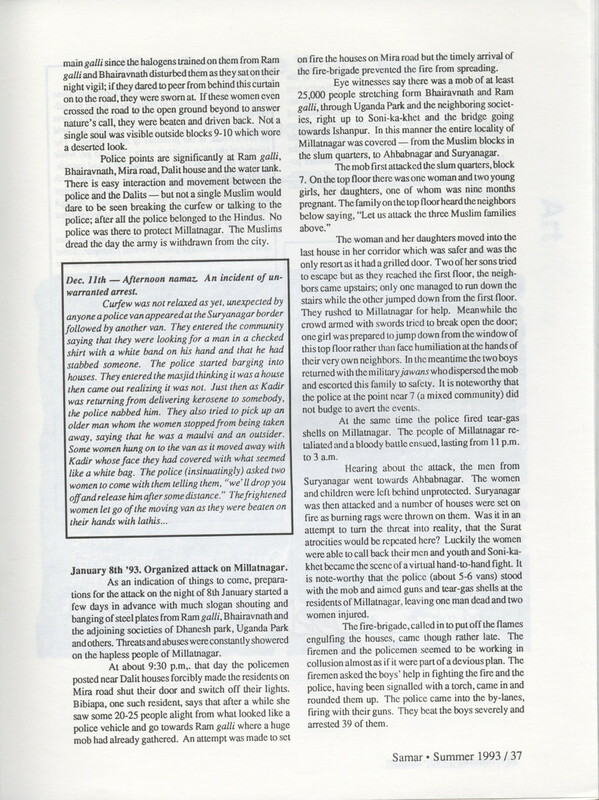 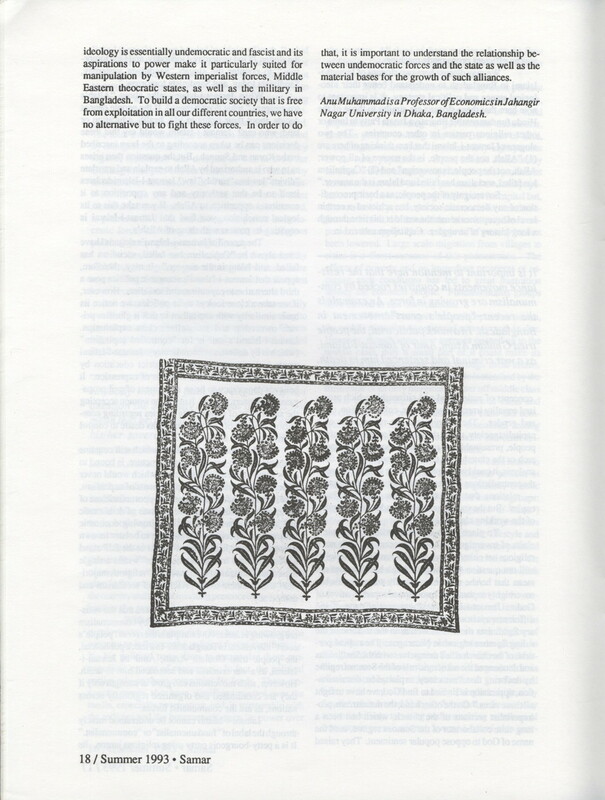 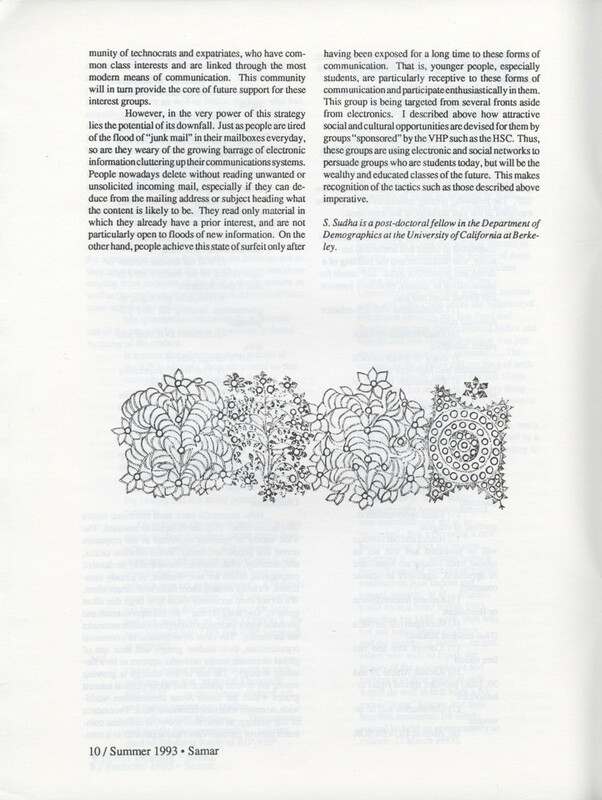 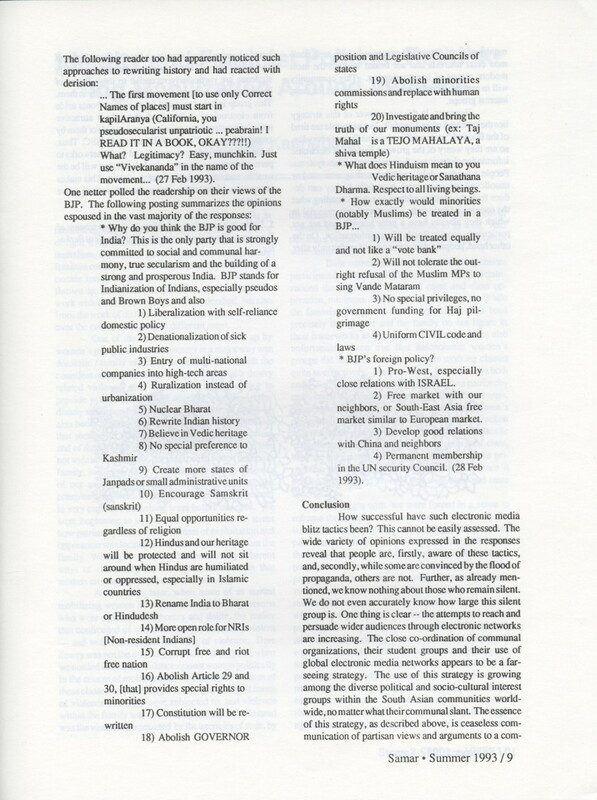 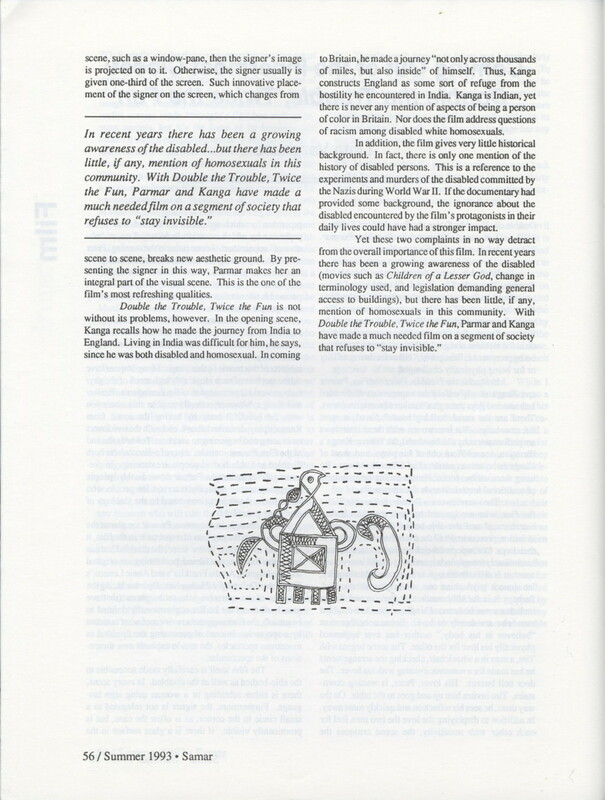 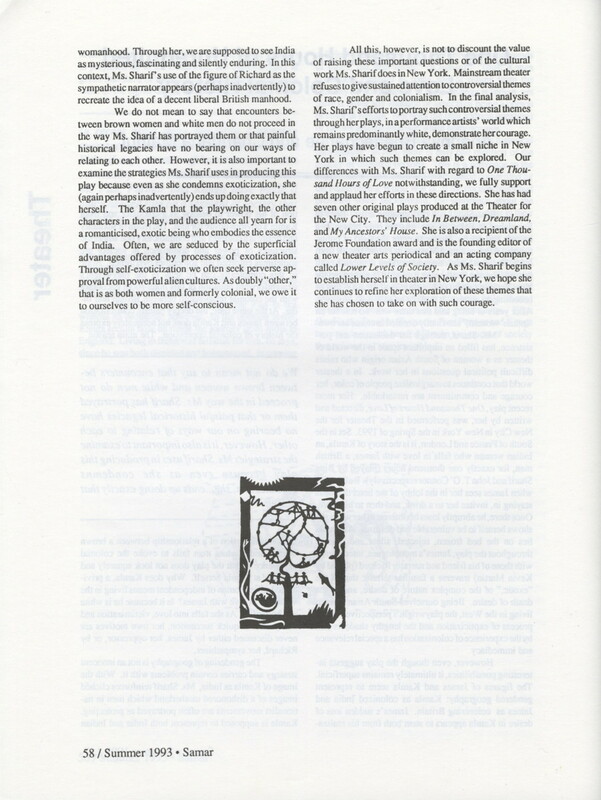 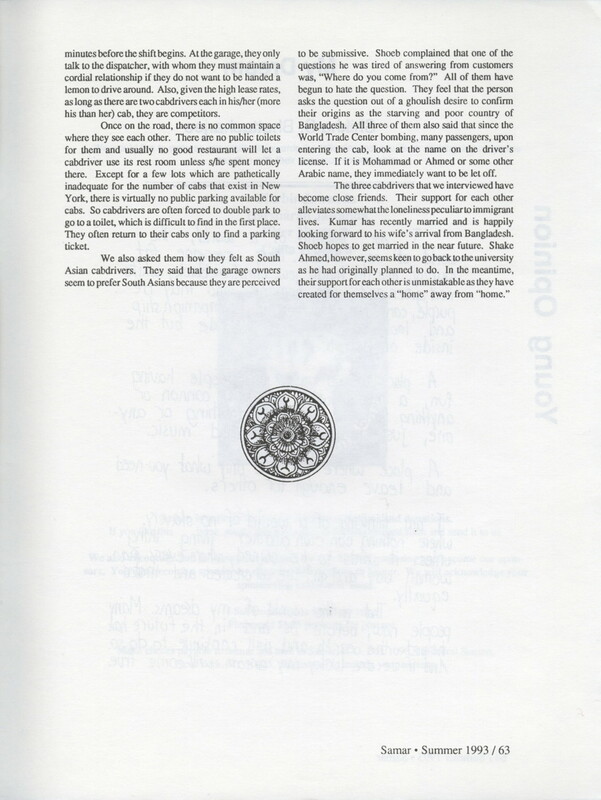 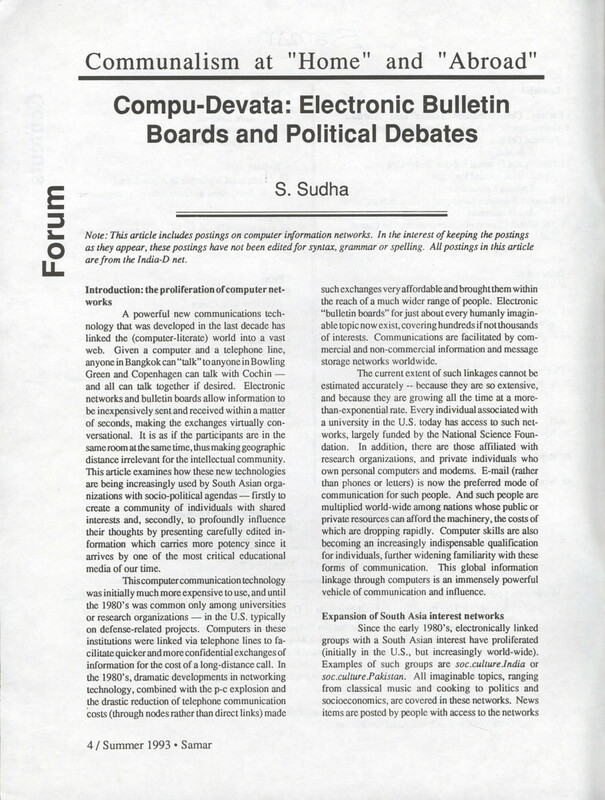 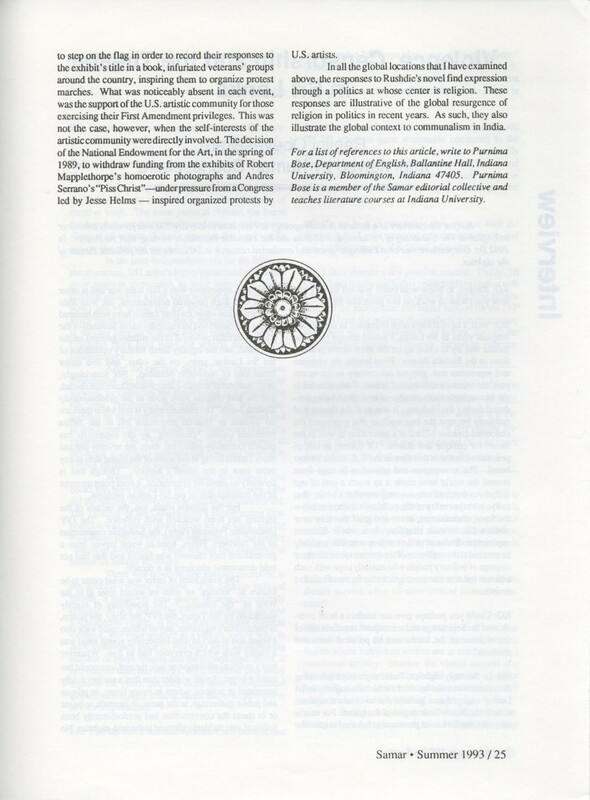 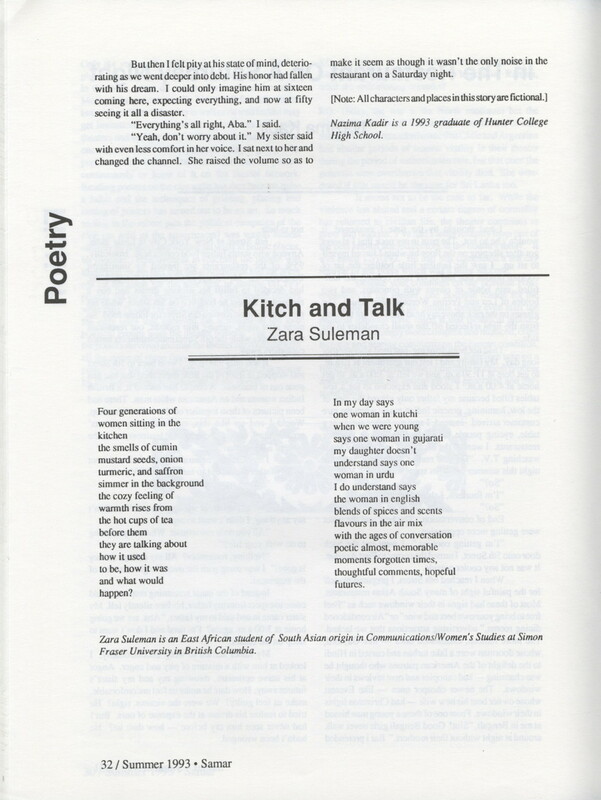 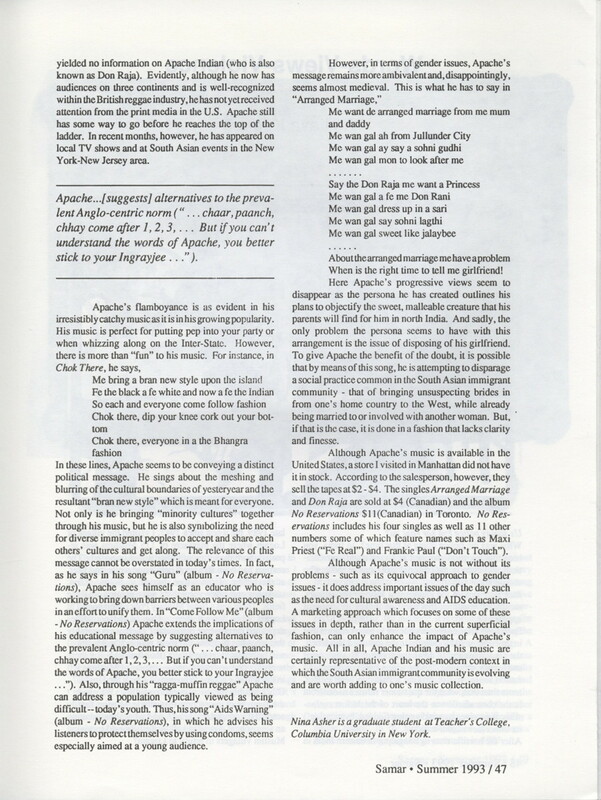 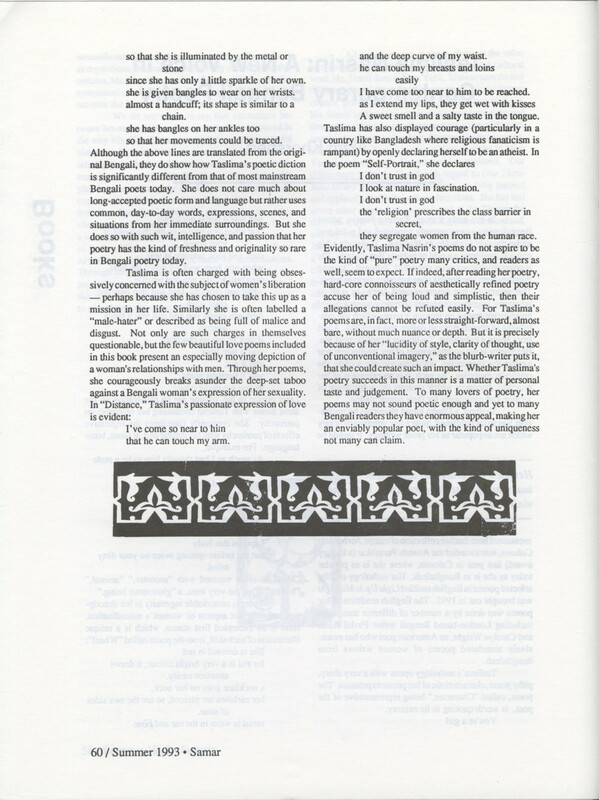 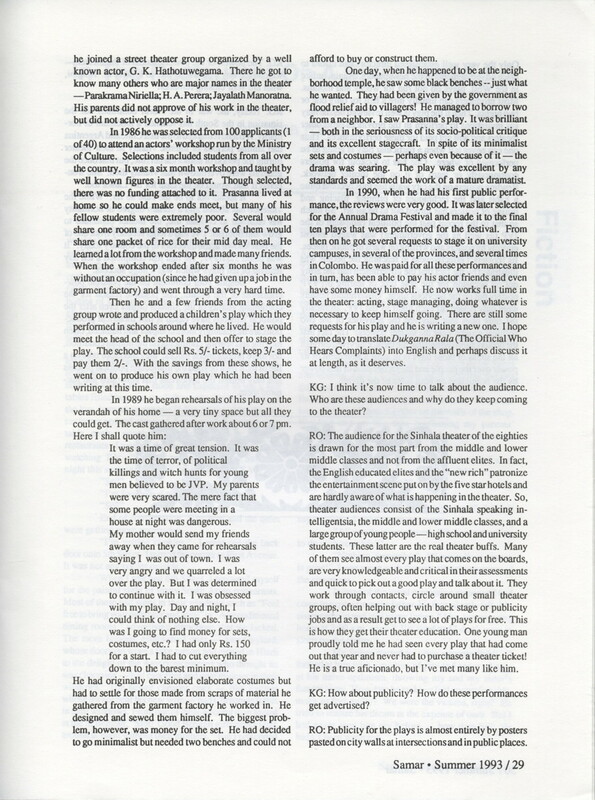 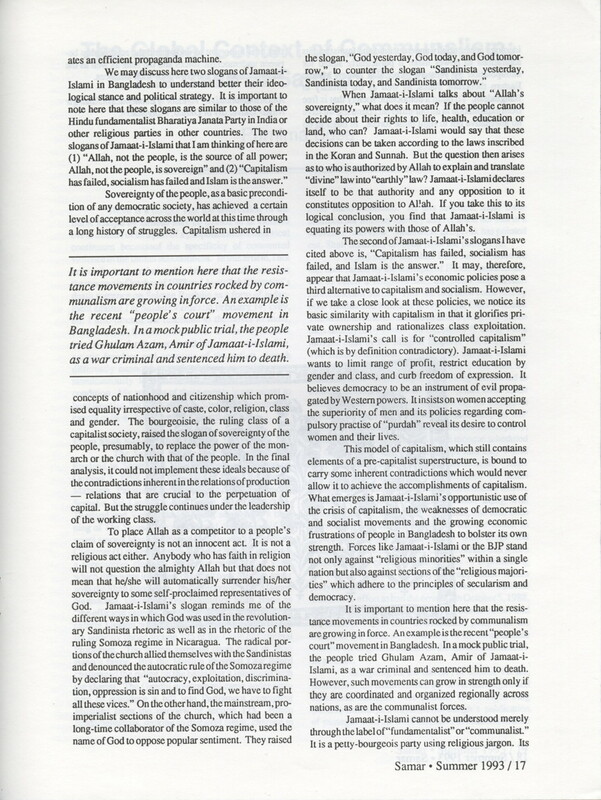 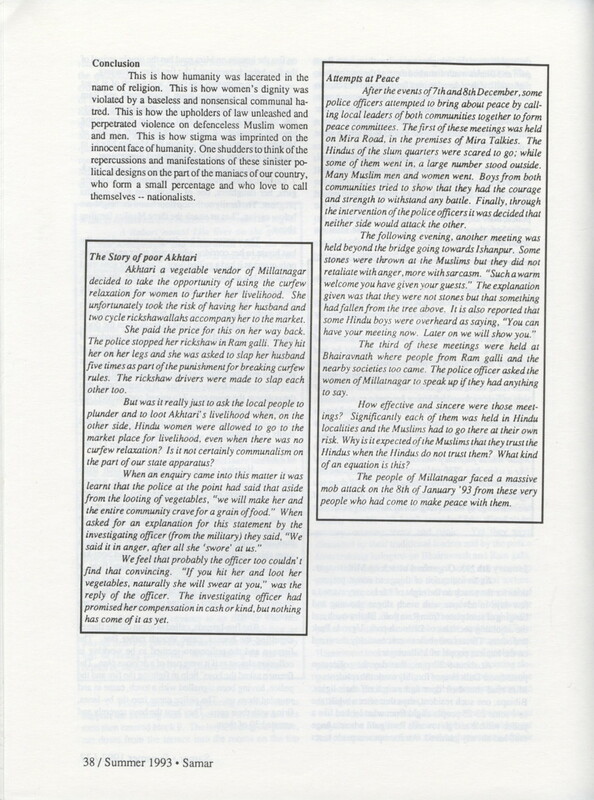 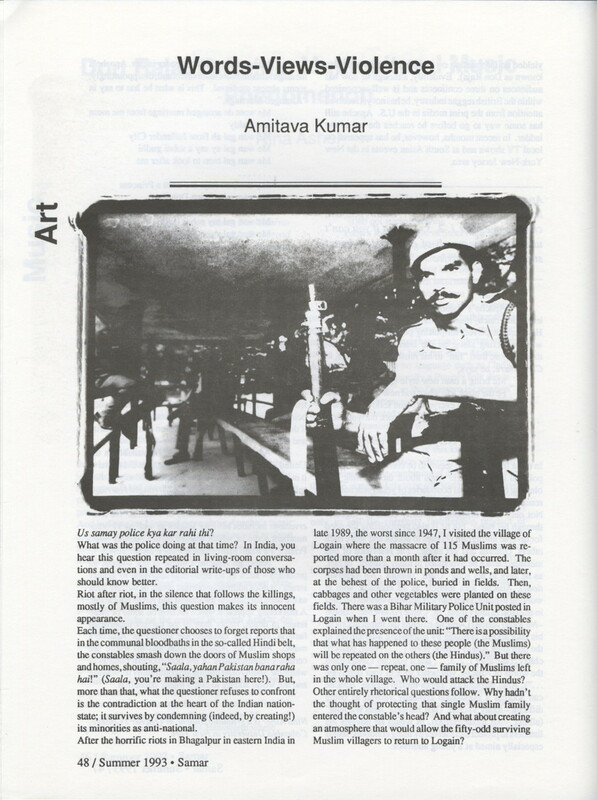 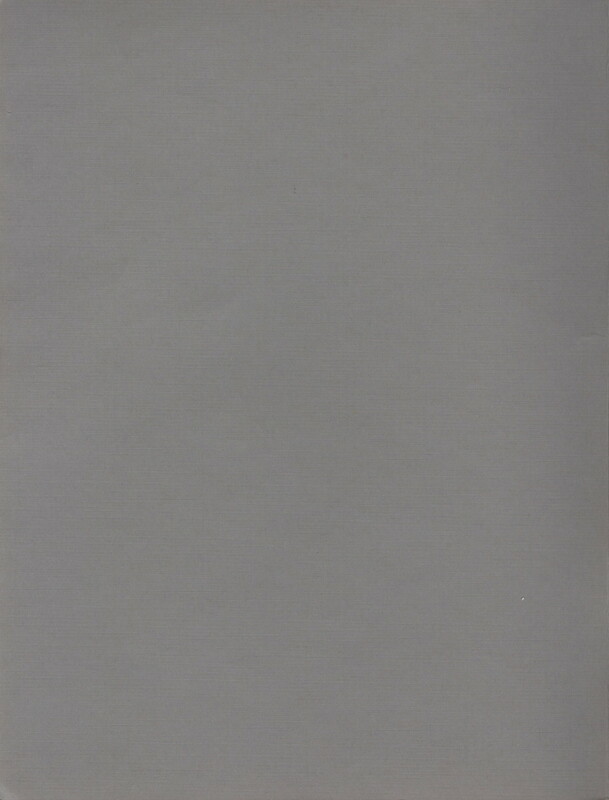 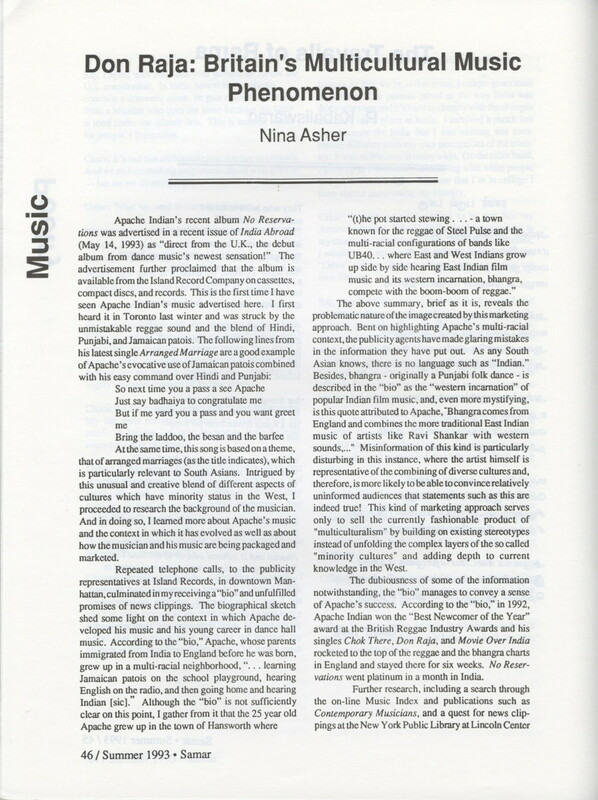 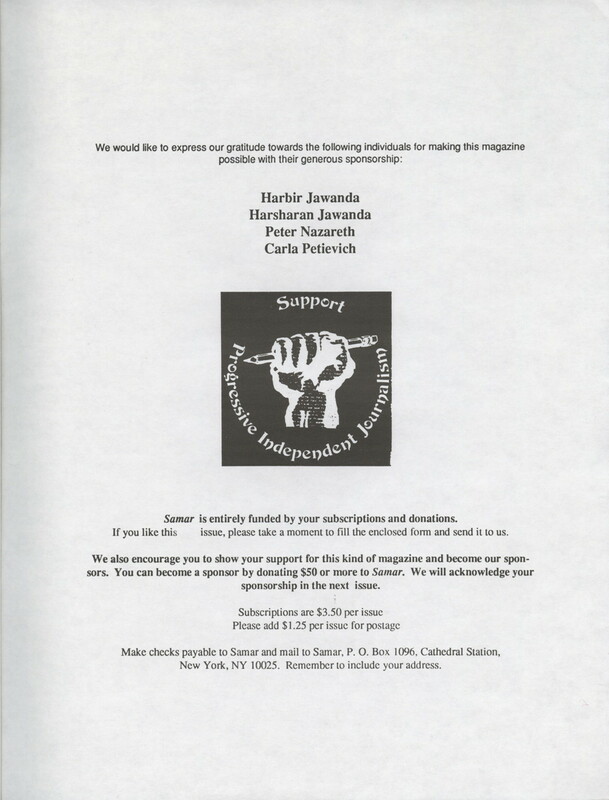 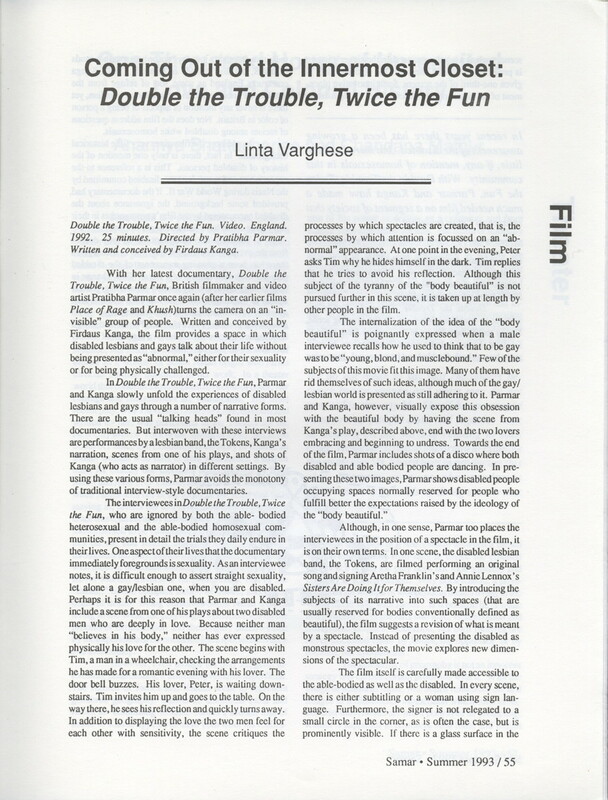 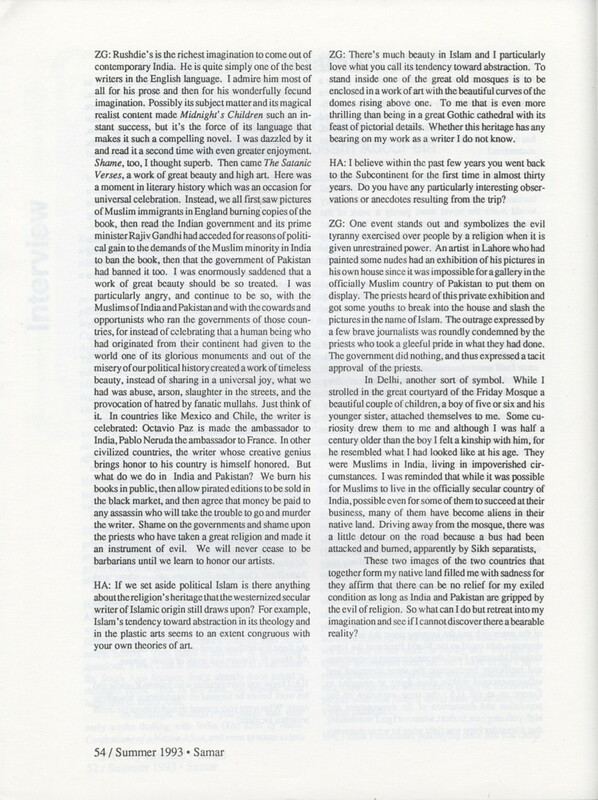 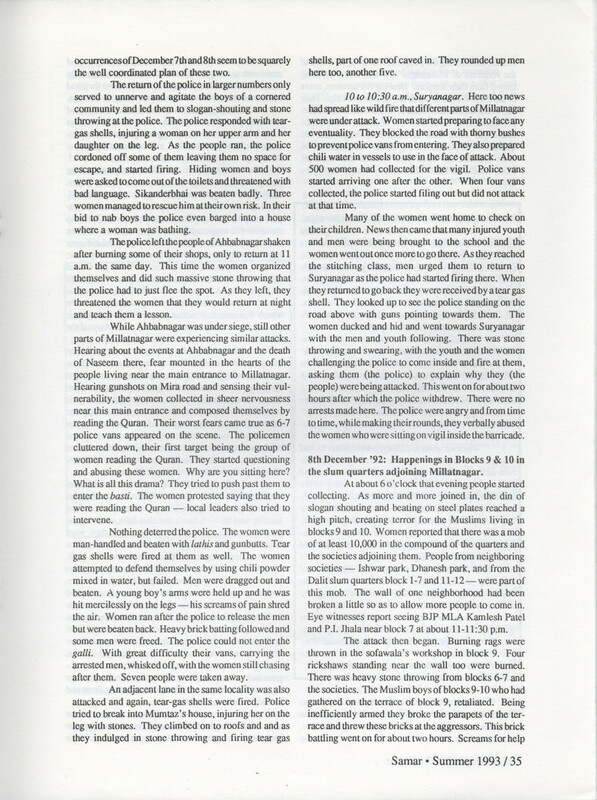 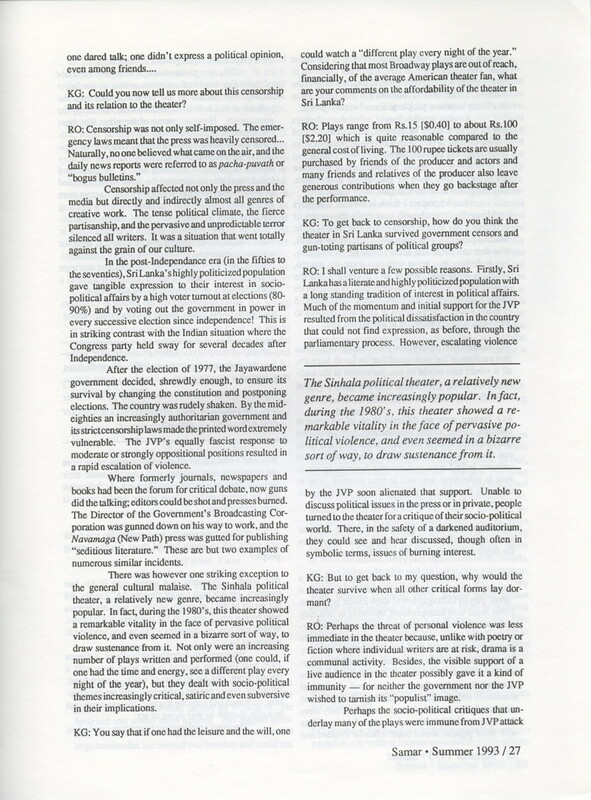 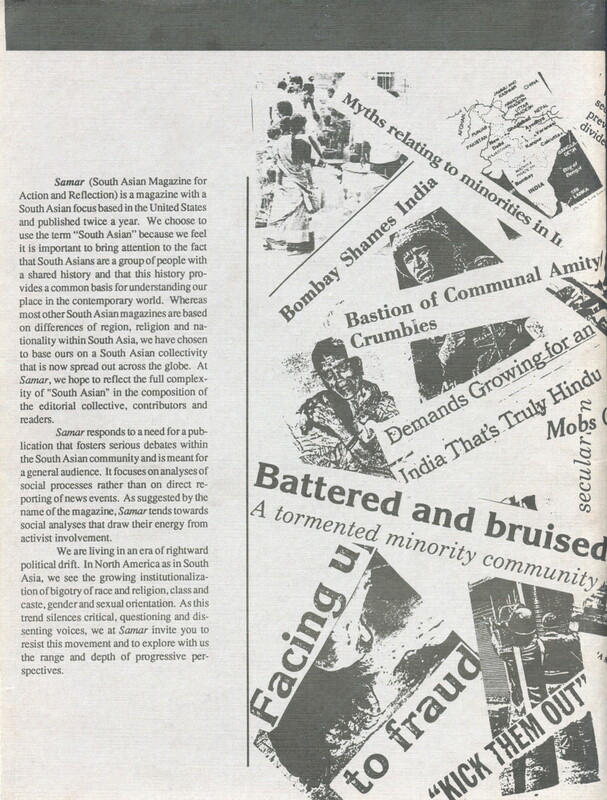 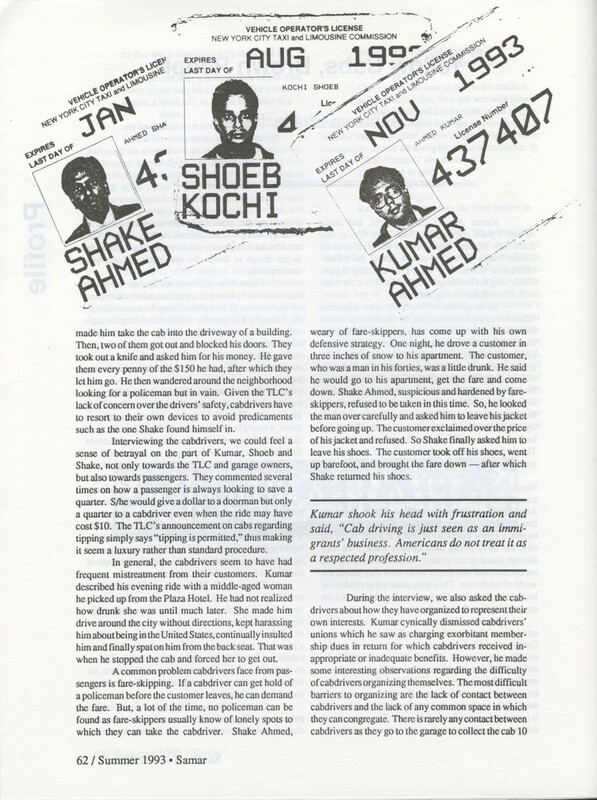 The Summer 1993 issue of SAMAR (No. 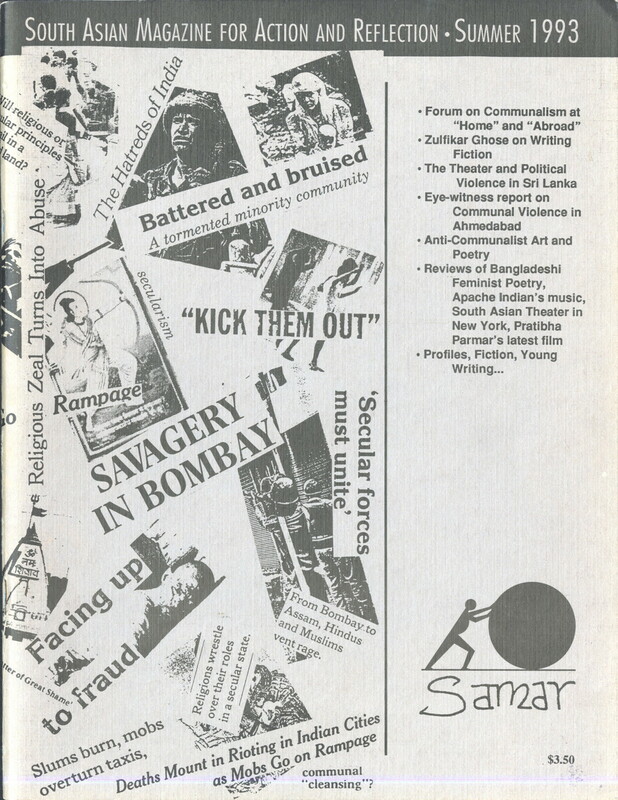 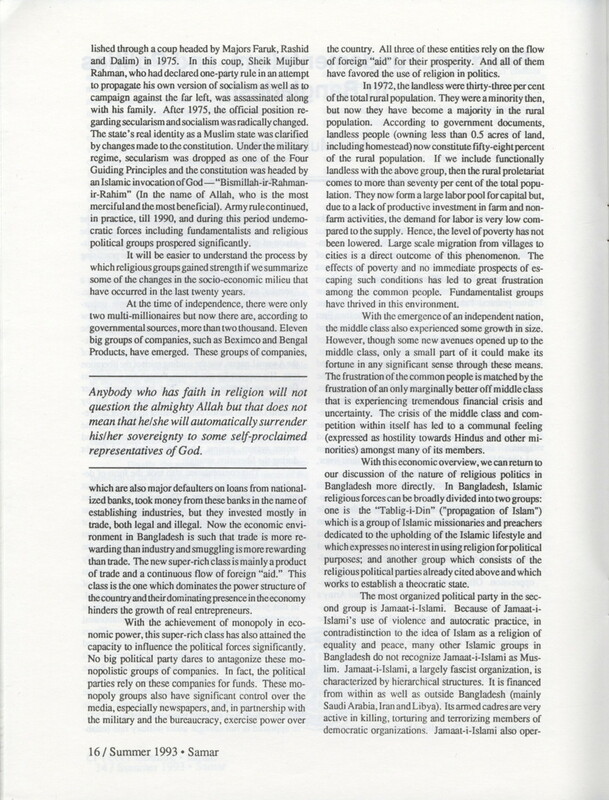 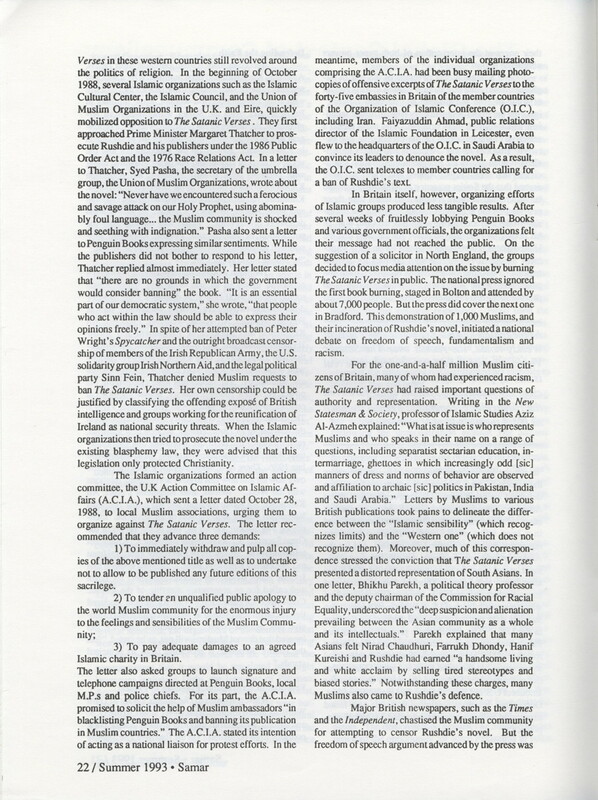 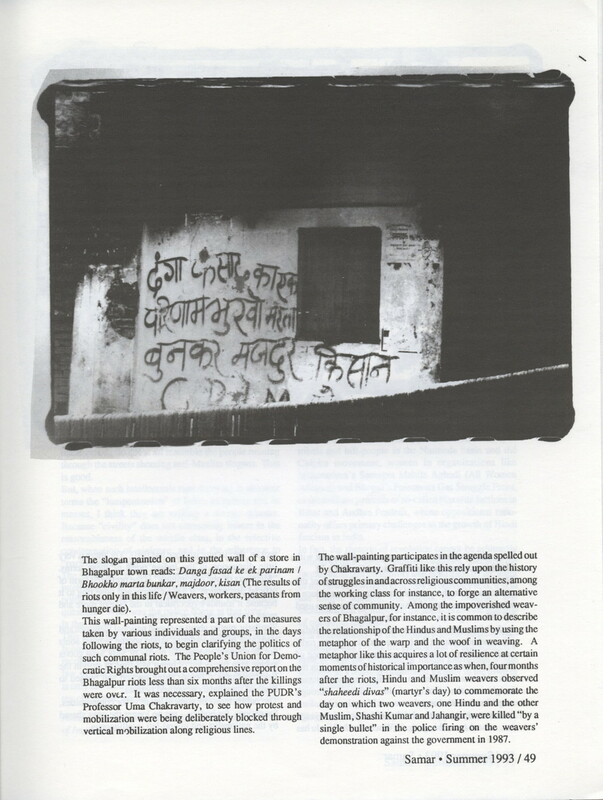 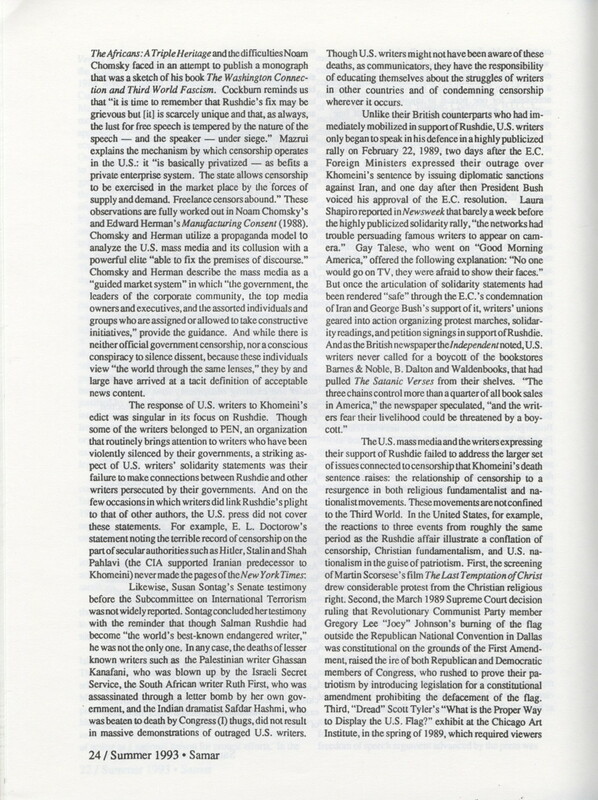 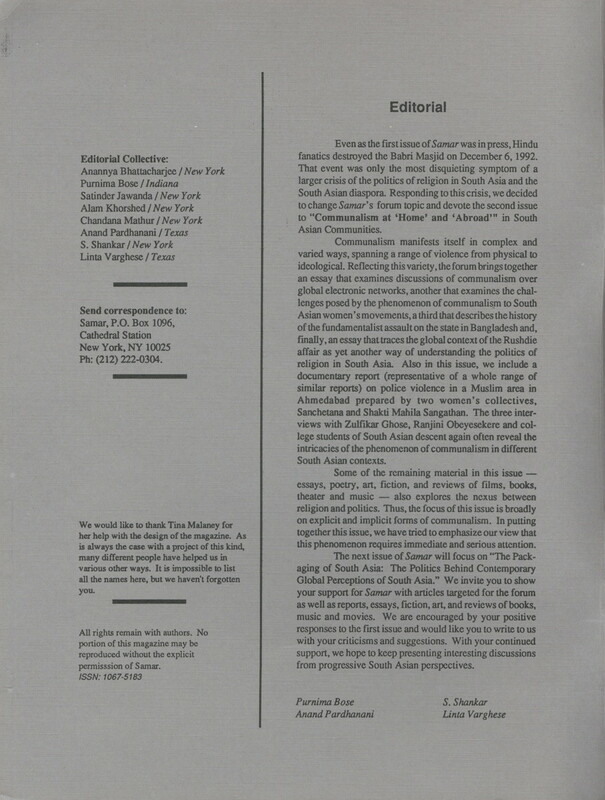 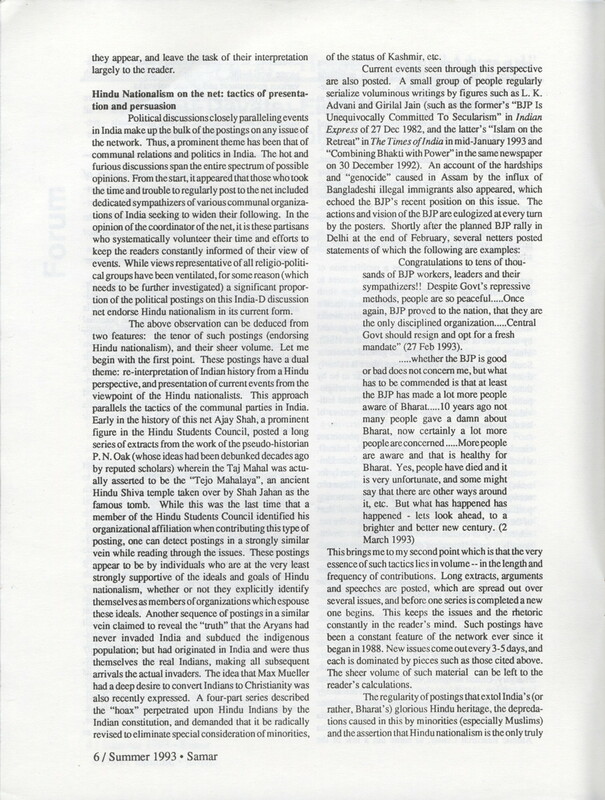 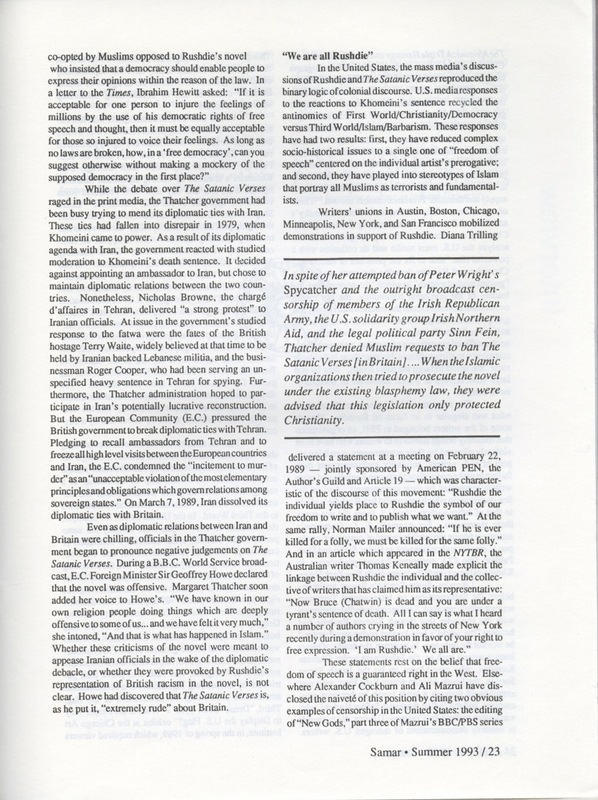 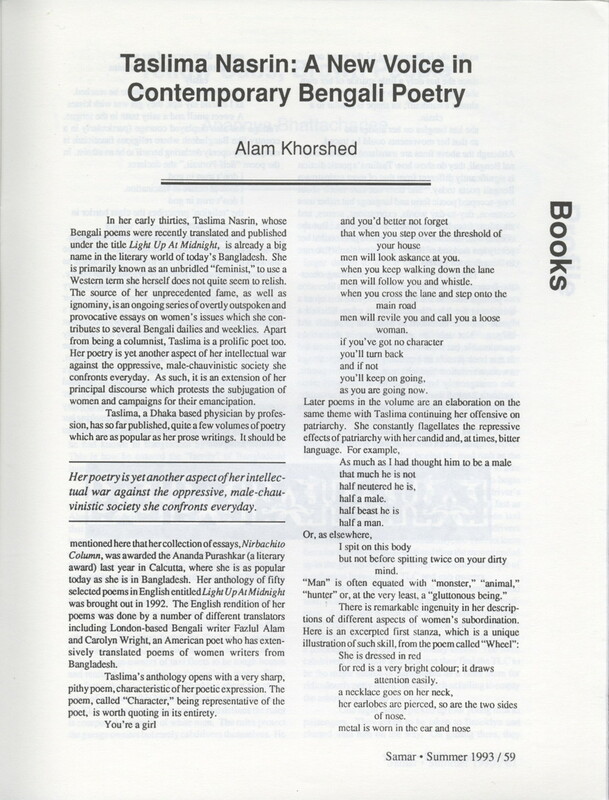 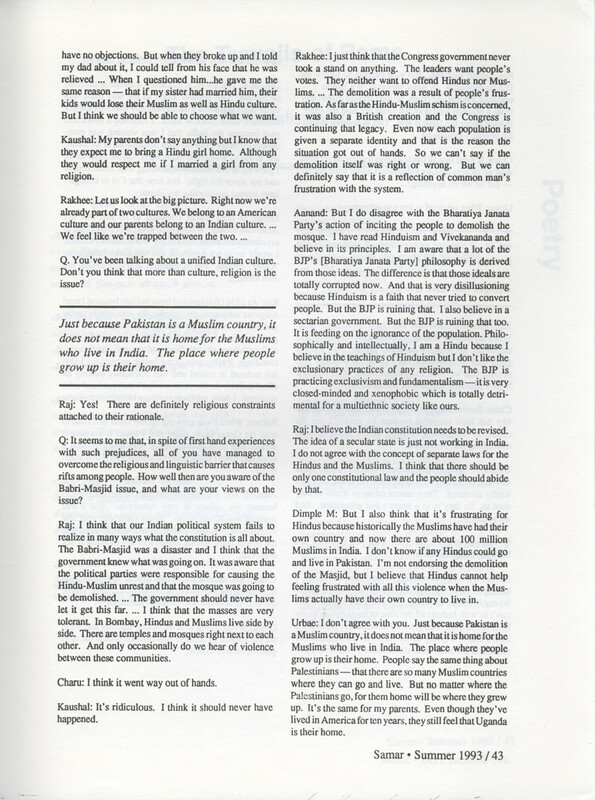 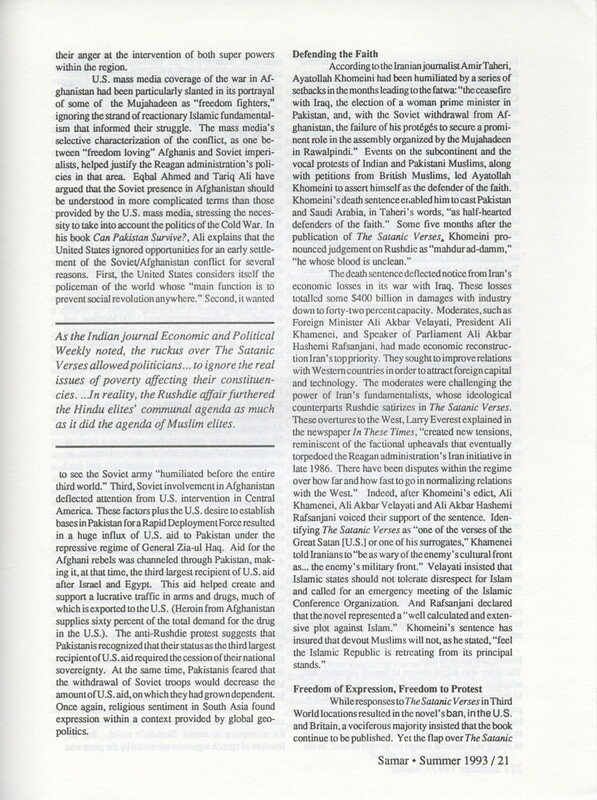 2), entitled "Communalism at 'Home' and 'Abroad'," included articles that discuss communalism, the "fundamentalist assault in Bangladesh," and the "Rushdie Affair." 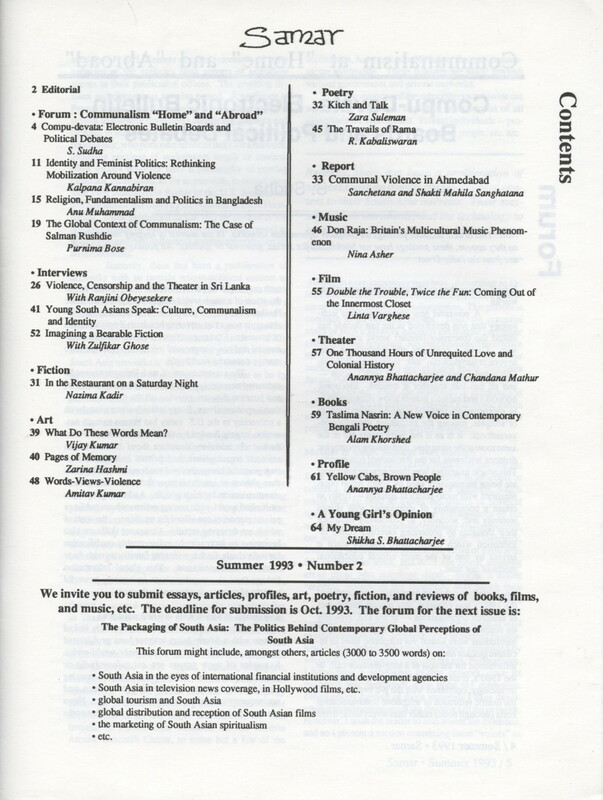 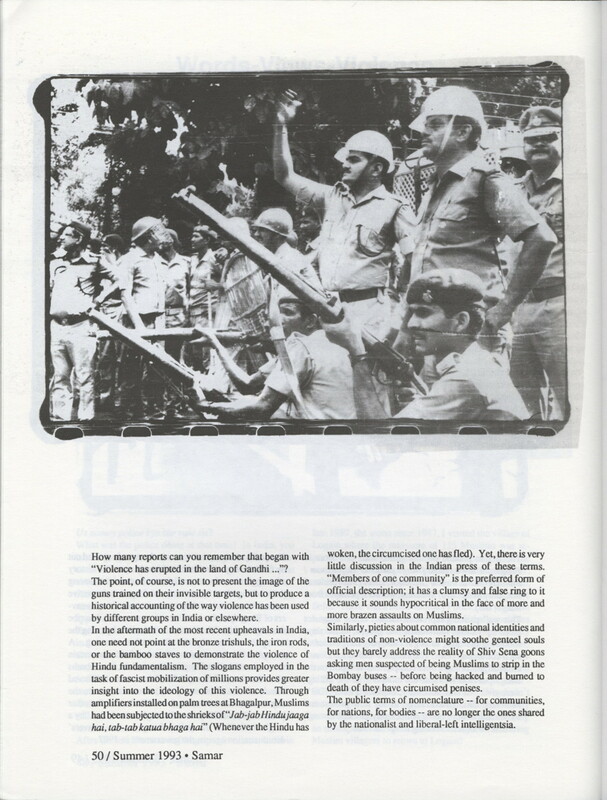 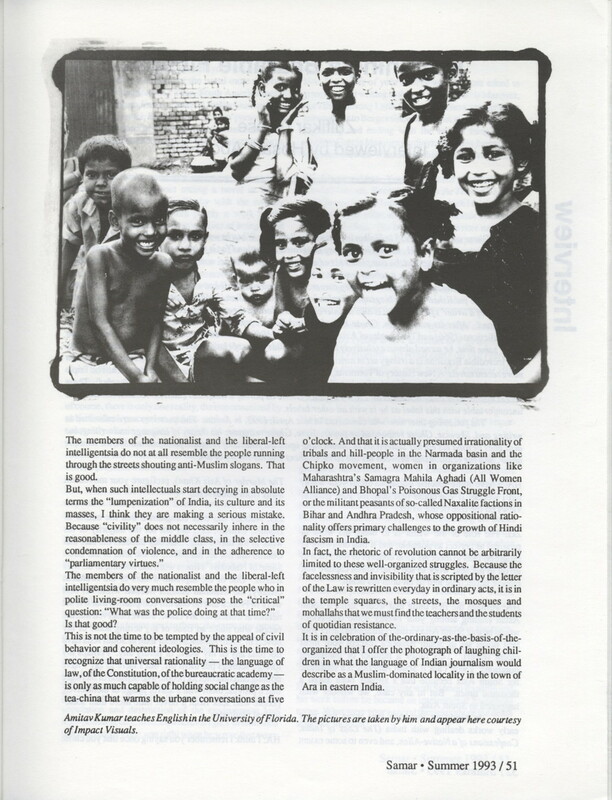 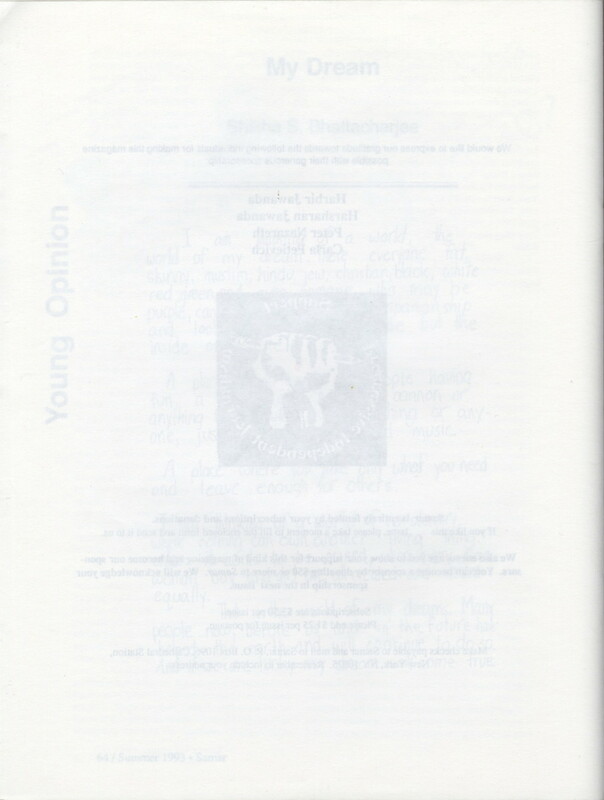 Along with a number of essays, the issue includes three interviews: Rajini Obeyesekere interviewed by Kumari Goonesekere; Zulfikar Ghose by Hosam Aboul-ela; and, a series of interviews of Indian-American students at the University of Texas Austin conducted by Nandi Bhatia.